Loja, Ecuador, is the object of my most remarkable failed prediction. In fact, two failed predictions. Loja is one of my favorite cities in Ecuador. In fact, if I were returning to Ecuador today, this small Andean city in the south of the country is probably where I’d settle. 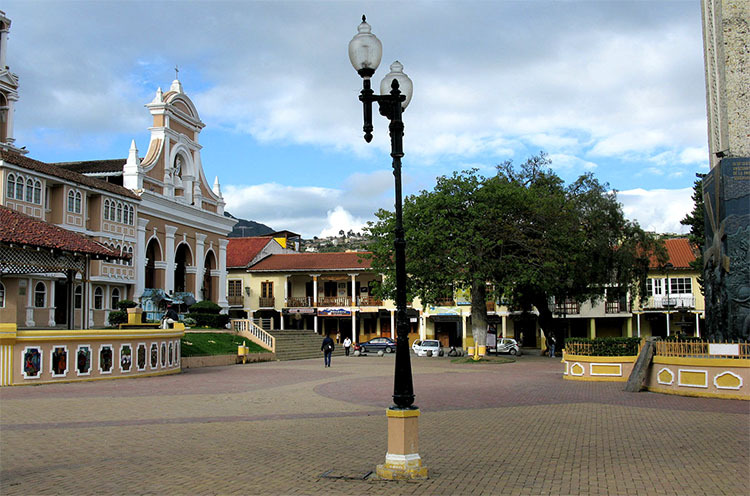 The city of Cuenca, is far more popular than Loja. In fact, it’s one of the most-popular expat destinations in the Americas, with beautiful colonial architecture and loads of amenities. By contrast, Loja is a city for Ecuadorians. Aside from a handful of exchange students, you’ll see very few foreigners here. About 10 years ago—when the expat population of Cuenca exploded—I predicted that Loja would be next. It was loaded with opportunity for the entrepreneur, had lots of inexpensive real estate, and was still in its original, pre-expat state. 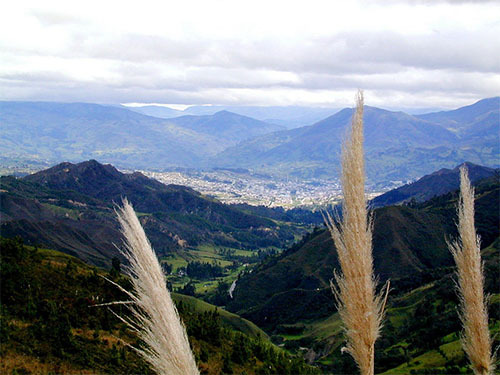 In Loja, you feel like you’re in untainted Ecuador. I went back to Loja in 2011, and it looked exactly the same as when I sold my house nearly six years earlier. But I knew the expat wave was just around the corner. But to me, this is good news. While both Cuenca and nearby Vilcabamba have markedly different characters than they used to, Loja has maintained the pleasant, small-city character that struck me during my first visit here in 1998. Loja lies in what’s known as Ecuador’s southern sierra; a beautiful and natural part of the country featuring high Andean peaks and lush green valleys. Cuenca sits 3.5 hours to the north by bus, and the famous Valley of Longevity—Vilcabamba—is just 40 minutes to the south. The airport lies to the west, in the town of Catamayo. The average high temperature in Loja is 73° F (23°C), with a seasonal variation of only 1° F. Nights are always cool, with an average low of 45° F (7°C). So you don’t need heat or air conditioning, and you can retire your winter clothes and your snow shovel. The city has a number of attractive parks and plazas, a pleasant historic center, and lots of country properties in the surrounding green hills. Although it’s a city of 185,000, finding real estate in Loja is a challenge. English-speaking realtors may exist, but I was unable to find one. I walked into one realtor’s office, and when I asked what he had for sale, he looked up from his magazine and politely told me “lo siento… no tengo nada” (sorry, I have nothing). But soon we found an agency that actually did have an inventory, as evidenced by the sandwich board out front displaying beautiful property photos and great prices. Unfortunately, none of the properties we wanted to see were still for sale (we found this at a few places). Apparently, they never take the nice ones down, as long as they’re still bringing customers in the door. They did however, have a number of good properties that were for sale… so we made, confirmed, and re-confirmed an appointment. Of course the realtor never showed up. But his innovative secretary found a friend of the realtor who was willing to show us around. She served coffee while we waited. It was a day well-spent, despite the two-hour delay in getting started. We saw some terrific properties, of all types. But you can’t go about property shopping in the way you might expect. In my experience, it’s better to walk the downtown, while looking at “for sale” signs and jotting down phone numbers. Then afterwards, give the list to an agent, or call them yourself. And it’s worth it. Properties here are less-expensive than their equivalents in Cuenca, and the cost of living in Loja is less than either Cuenca or Vilcabamba. The market here starts at about US$60,000 for a small apartment that’s downtown, but outside the center of historic center, in a middle-class Lojano neighborhood. The following properties are upscale by Loja standards, but should meet the needs of most North American expats. We found a second floor, two-bedroom, two-bathroom apartment on the market, with high quality finishing materials, central gas, storage room, security system, and garage parking. Built in 2015, the apartment is located near Parque Jipiro, close to nature and public transportation. The asking price is US$85,000. In the quiet neighborhood of Las Palmeras, there’s a brand-new home available, with 140 square meters (1,507 square feet) of living area, including four bedrooms, three and a half bathrooms, with an upstairs family room central to the bedroom area (in Ecuador, this area is common, and called an estar). The asking price is US$112,000. North of town, in a quiet residential neighborhood close to everything and with great views, there’s a spacious 300 square meters (3,229 square feet) home on the market, with four bedrooms, six bathrooms, along with a two-car garage and front patio/garden area all enclosed by a perimeter wall. The asking price is US$168,000. Just a few blocks from downtown, on a low traffic side street adjacent to 24 de Mayo, we found a two story 250 square meters (2,691 square feet) house, with eight bedrooms, four bathrooms, a large courtyard, an office, and spacious living areas. The asking price is US$275,000. Loja is definitely off the well-worn gringo trail. So if you want to live among hundreds or thousands other expats—or you plan to speak only English—then there are far better choices in Ecuador… places like Cuenca, Vilcabamba, or Cotacachi. Expats who settle in Loja will need to become a part of the local community, which is why I find it attractive. In Loja, you’ll experience life in the real Ecuador. 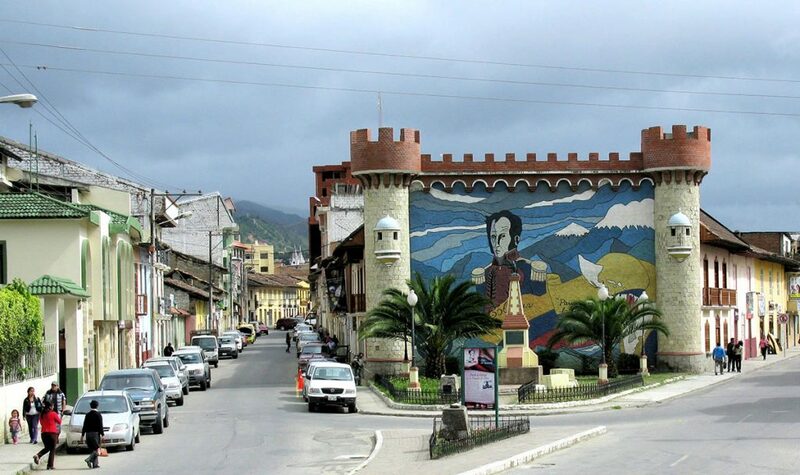 You can enjoy a night at the symphony, or appreciate the art and culture that have made Loja unique in the country. Also, here in the southern Andes, you’ll be part of a dramatic and beautiful province. So if you’re ready to leave the beaten path for a fascinating lifestyle among warm and welcoming people, then Loja could well be for you. I am really interested in Cuenca, Ecuador. No bugs, cool weather, healthy drinking water, and great health care all sound very inviting. Do they have any ISIS problems over there that you know of? I was interested in Malaysia until I heard of ISIS recruitment over there. No, you’ll find no ISIS problems in Ecuador. One of the many things I like about Ecuador is that they are not aggressors, and are not targets of aggression in the world. While living there, I felt like I could watch the world’s conflicts as a bystander, rather than a participant. It’s a feeling that can be quite liberating. How do I get info on living near the ocean in Ecuador? Purchasing land is my main interest. Contact Renato Gheno. He’s an expat from Italy who has settled in Salinas, on the Ecuadorian coast. (Renato also sometimes writes for Overseas Property Alert.) I’m sure he’ll be happy to help you out. I try to read your email weekly. They are sooooo enticing! I lived in Mexico City in ’68 and ’69 while teaching at the University of the Americas, which is now housed in Puebla, Mexico. I also spent much of the ’80s and ’90s in Chapala, Mexico. I just read your August 2016 article on Zika-free living, in which you mentioned Puebla. The last time was in Chapala, dengue fever-carrying mosquitos were prevalent. That is why I’d like to be a little higher in altitude. How much would a live-in maid cost monthly? I am 78 years old and would definitely appreciate some live-in help. What are the medical facilities like? Even though I live in the Boston area, I go to Guadalajara/Chapala to visit my dentist regularly. Keep up this great research. Puebla is a great choice if you’d like to live without mosquitos. In fact, we had no screens on our windows while we were downtown, a block from the cathedral. 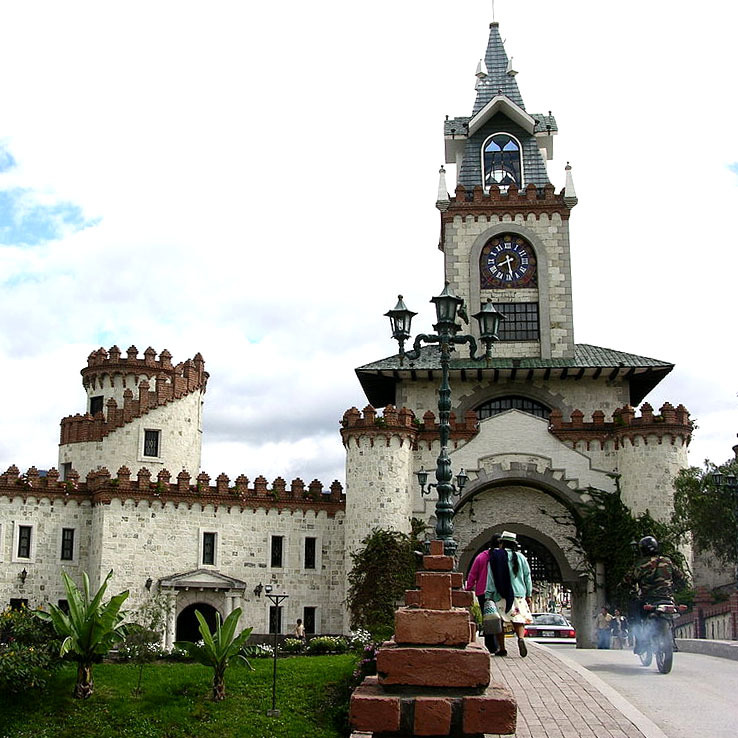 Puebla has had an expat community for a long time, which brought with it high-end medical care. My mother-in-law remembers meeting Americans who worked in Puebla’s Packard plant in the 1920s, back when the luxury Packard was sold in 61 countries. Today, Volkswagens and Audis are made in Puebla, and there’s a strong German expat community there. You’ll need to see for yourself, but I like the facilities at Angels Hospital. Here’s an English version of their website. Look around, though, as there may be other good choices that suit you better. As to a live-in maid, I don’t have any first-hand information on the cost. But I do know that the average salary for a live-in maid is 5,400 pesos per month, which is about US$306 today… so that will be a good starting point for budgeting purposes.